SAN FRANCISCO, CA, September 17, 2018 -- Since 2014, close to 120,000 migrants and refugees have crossed the Central Mediterranean departing from Libya, Tunisia or Egypt on the route known as the “deadliest border in the world”. To date, according to the New York Times, 13,000 migrants have been recorded as killed or missing on this border. Once saturating the North American news, this crisis has been distilled to the periphery of our awareness. 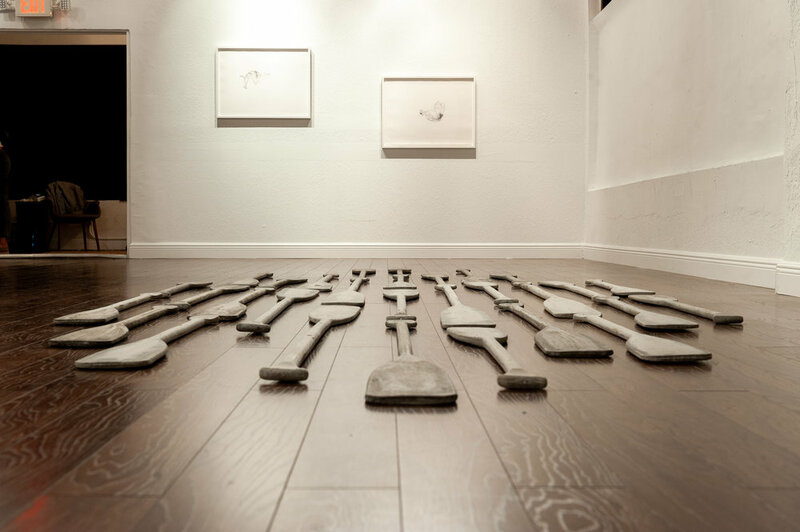 For Ana Teresa Fernández’s third solo exhibition, “Of Bodies and Borders”, Fernández aims to refocus attention on the plight of the thousands of migrants through a new body of work, including video, painting, drawing, and installation. Pivoting from her previous work on U.S./Mexico border to the Mediterranean Sea, this five-year project was filmed in various locations off the island of Poros, Greece. 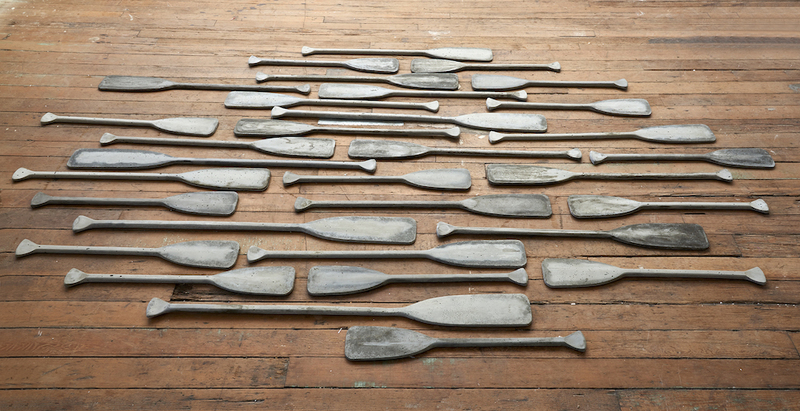 All of the works in the exhibition stem from Fernández’s performance in the depths of the ocean. In the video, “Drawn Below”, she dons her signature little black dress and heels, weighted down with 13-pound weights. While submerged, she wrestles with a bed sheet for hours, exemplifying an enduring physical and psychological performance. 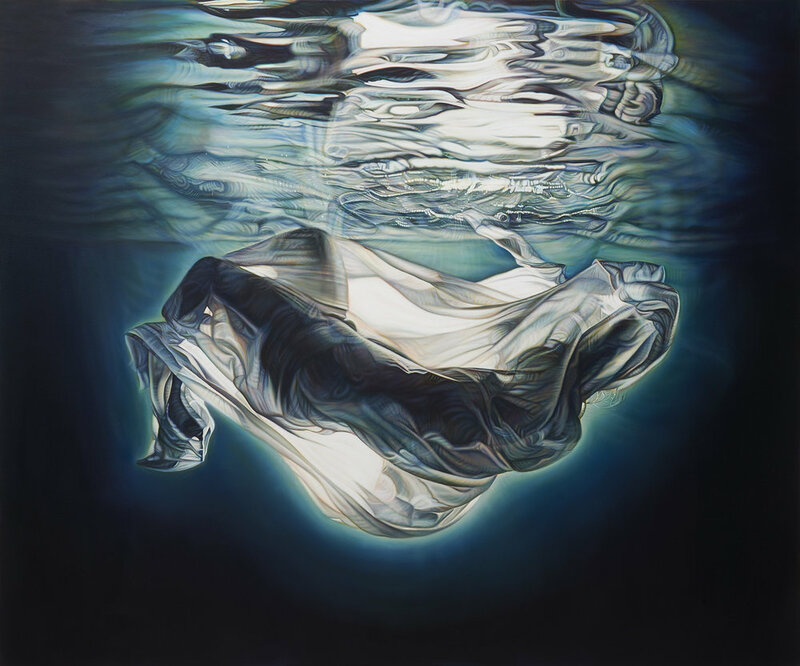 Her large-scale documentary oil paintings illustrate her suspended underwater: swimming, floating, and plummeting into a dark, eerie abyss. The meticulous layering of color and brushwork further emphasize the complexity and tension between water, cloth, and the artist’s body. In the series of documentary drawings titled, “Gauging Gravity”, Fernández’s identity is eventually erased, only recognized by bodily fragments inside a void. This new work observes what exists within liminal spaces, seeking what is lost in the margins, between light and shadow, positive and negative space, heavy and buoyant, seen and unseen. Fernández seeks to champion the invisible, unrecognized, undervalued, and in danger of sinking into oblivion. As Gallery Wendi Norris’ fourth off-site exhibition and Fernández’s east coast debut, “Of Bodies and Borders” will be presented in a non-profit space in Miami, FL, in the vibrant arts community of Little Haiti, also known as “the U.S. cultural heart of the Haitian diaspora”. 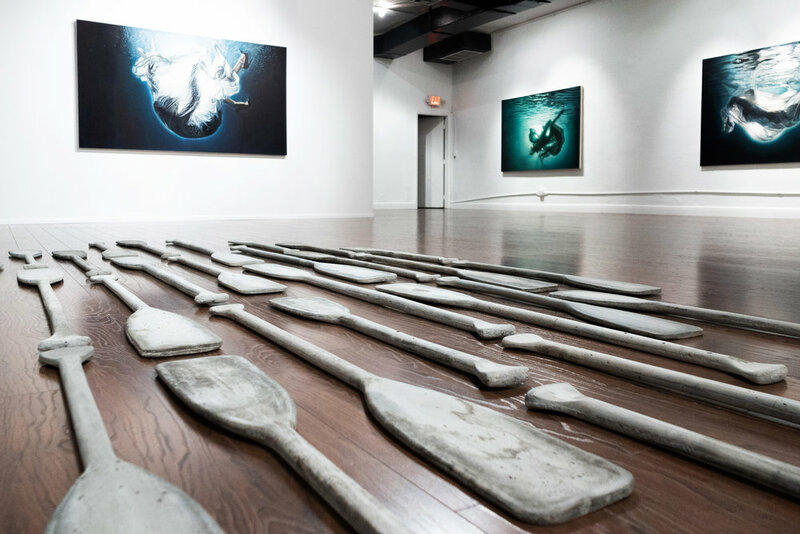 The neighborhood parallels histories of migration, particularly the Haitian refugees during the late 1970s to early 1990s, and builds upon Fernández’s 2006 public artwork and activism in Haiti. Moreover, the site presents a unique opportunity to work with an art non-profit whose program serves the local intergenerational arts community. The exhibition will travel to the Grunwald Gallery at Indiana University in January 2019. Indiana University will publish a book in November, to be released in Miami, featuring an essay by María Elena Ortíz, Associate Curator at the Peréz Art Museum Miami.